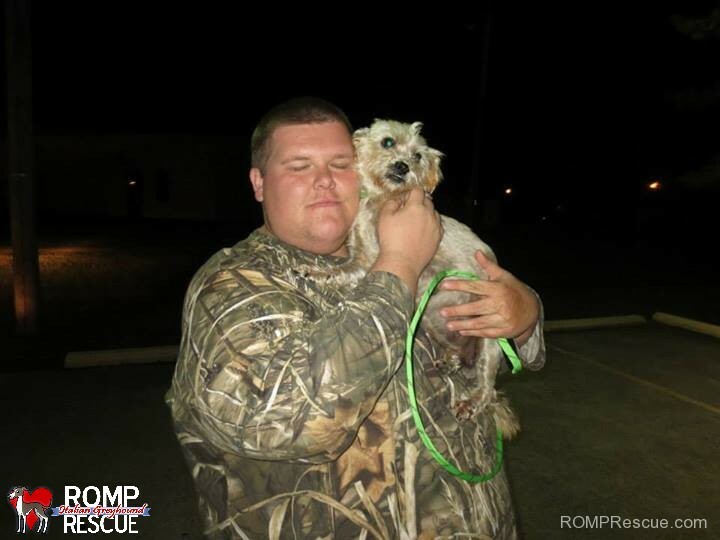 Dixie’s adventure took her over 500 miles this past week, it is quite a puppy rescue story! Dixie is a small breed mix of some sort doting curly tan locks and a cute little under-bite. This little Nashville sweetheart couldn’t find someone to take her in despite being pregnant and literally begging door to door. 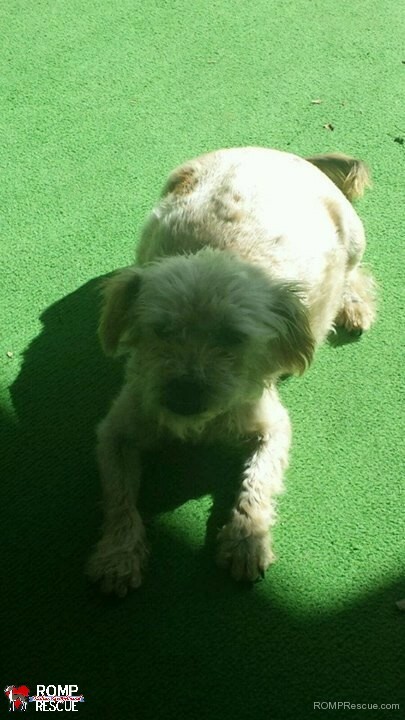 Granted, she was heavily matted and covered in fleas, it was shaping up to be the start of a bad ending. But, luckily, someone that cared finally saw her mulling around their neighborhood. This lady worked for Verizon. Why does this matter? 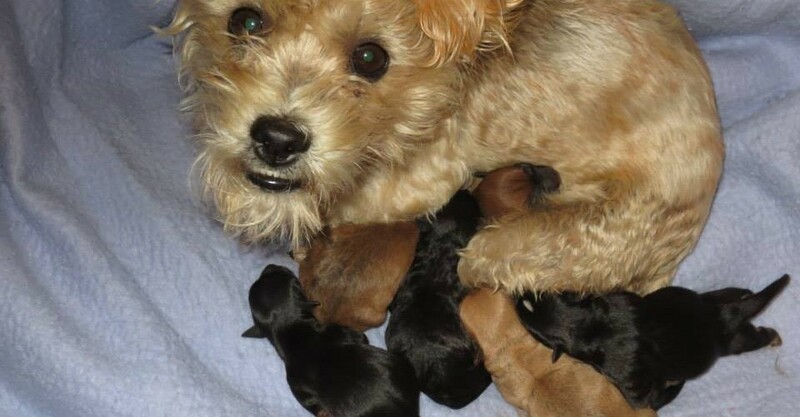 Well, she works for their customer service department and received a call from a lady one day that is a rescue volunteer – they got to chatting and she told the rescue volunteer about the pregnant dog that was walking around her neighborhood. After a little convincing, the Nashville customer service rep was being walked through how to coax her into her home and into safety. 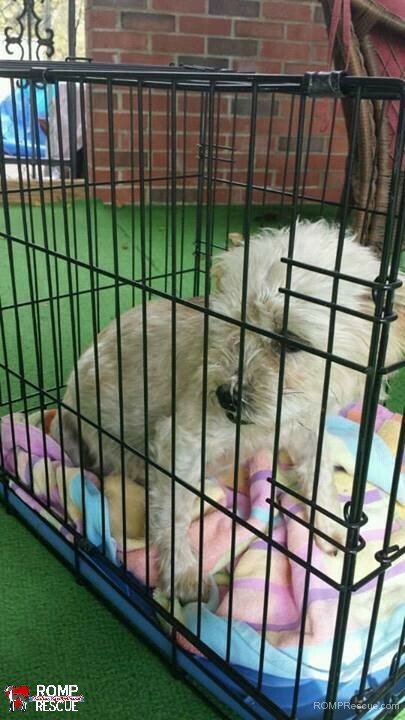 The little pregnant pup from the heart of Dixie land was in good spirits and relieved she was finally inside somewhere away from danger of the streets. After a little more convincing, the customer service rep trimmed off Dixie’s mats and cleaned her up – what pregnant mama doesn’t enjoy a spa day? The rescue volunteer, Bobbi, was now on a mission to get Miss Dixie into rescue before she went into labor. 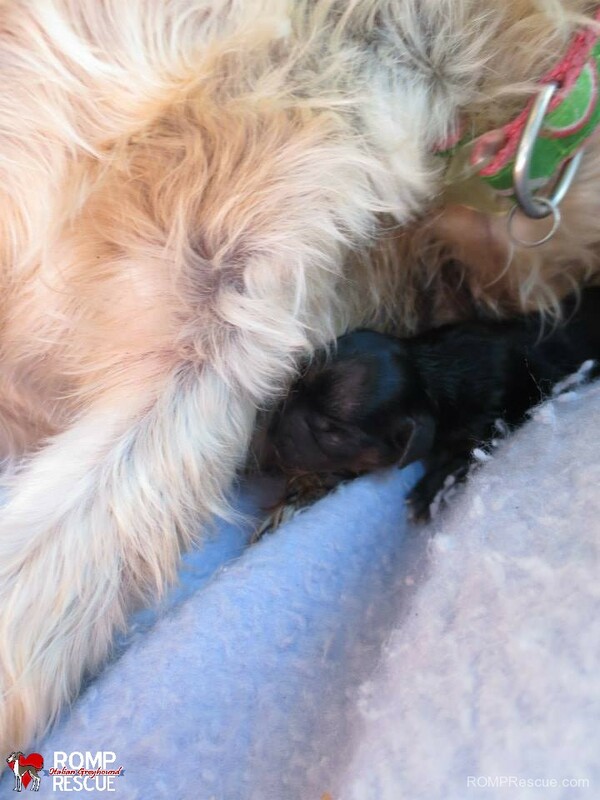 To make things more difficult, the customer service rep was clear she did not want Dixie in her home when she gave birth as she has her own dogs she needed to care for. With a little networking, in only a few hours the Chicago Frenchie rescue rep connected with us here at ROMP and we offered to take her in but unsure how she was going to get from Nashville to the big city – Chicago. Then, the customer service rep expressed that Miss Dixie was overstaying her welcome and she wanted her out asap. Liz, our founder, did not want to wait days to arrange a transport fearing Miss Dixie would go into labor and the Nashville customer service rep would decide Dixie needed to hit the streets. So, the friend of Bobbi – John and Eric out of Peducah, KY – offered to help. They went to pick up Dixie in Nashville and would meet Liz near the Kentucky border. Just like that, around 6pm, Liz hopped in her car and headed to Peducah, Kentucky where she finally met Miss-very-pregnant-Dixie around midnight! Miss Dixie was only in the care of ROMP for a few hours (actually in Liz’s car on her way back to Chicago) when she became a mom. 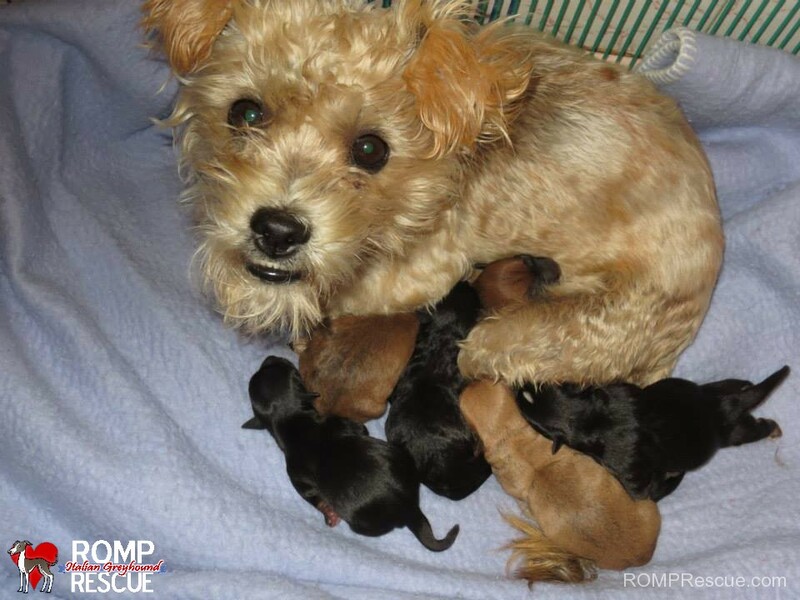 The first puppy rescue born was a healthy baby girl and she came into the world while at the glamorous Hinsdale Oasis. A few hours later and finally at her foster home in Chicago, she delivered 6 more puppies for a total of 3 girls and 4 boys! These two were girls number 2 and 3, born at the same time and sharing placenta – they are twins! 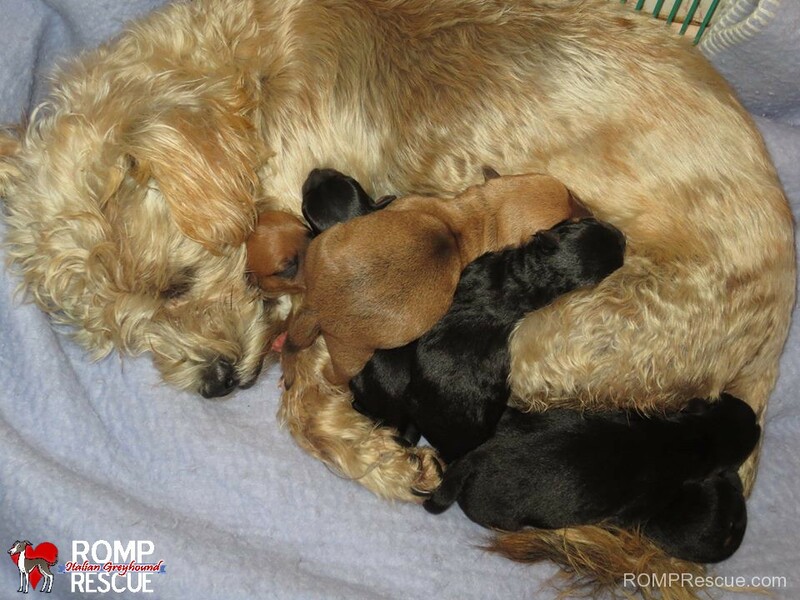 We are so happy Dixie never gave up and we are excited for her and her 7 pups to be surrounded by love, safety, and the proper care for the rest of their lives! 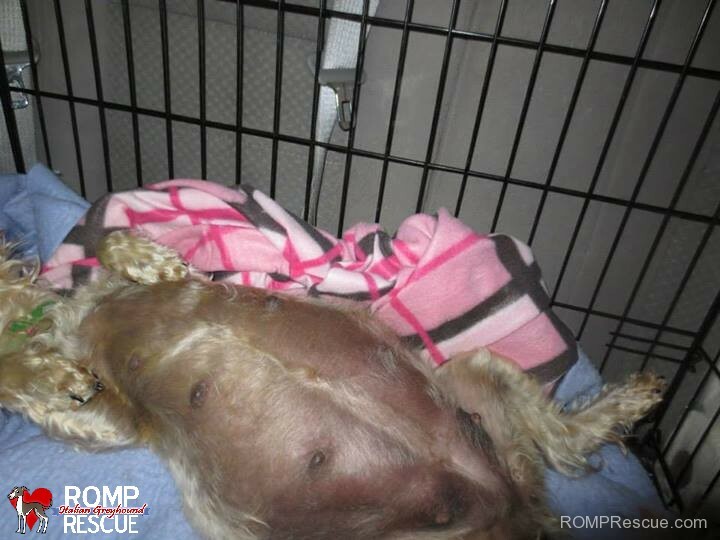 We are happy she had her puppies in safety and are happy that she will be spayed post pregnancy which will prevent such situations from ever happening again! We can’t believe the little lady had 7 passengers tucked away in her little belly, how did she fit them all in? 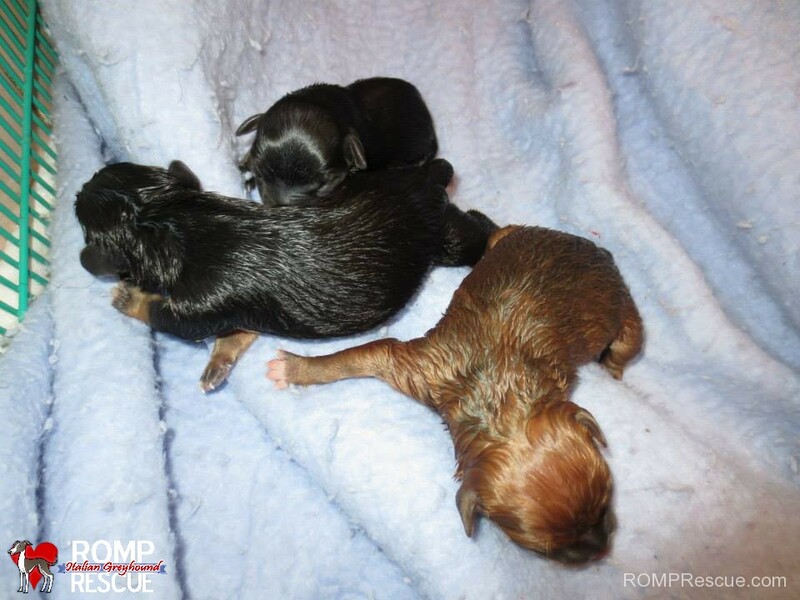 This entry was posted in ALL, News and tagged adopt, adoption, breed, buy, chicago, chicago puppies, chicago Puppy Rescue, dixie, mix, mutt, nashville, petstore, pregnant, Puppy Rescue, Puppy Rescue chicago, rescue, shelter, stray, transport. Bookmark the permalink.